While we celebrate 15 Years of Geocaching, we are bringing back some of our most popular items from the past. Take a step back to the days of flip phones, hamsters and virtuals with these 4 Color Logo products! 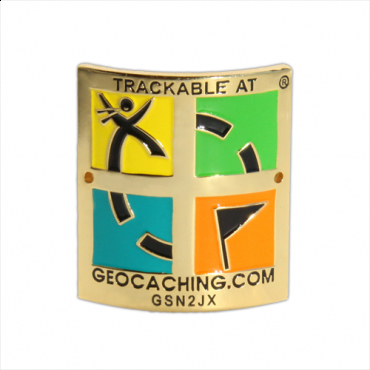 Add this trackable geocaching medallion to your hiking stick or place it in a geocache as a treasure for others to find...Nails and adhesive tape are conveniently provided, so you can finish your project without further delay. 1 5/16" height x 1 1/4" width; curved for applying to your staff.